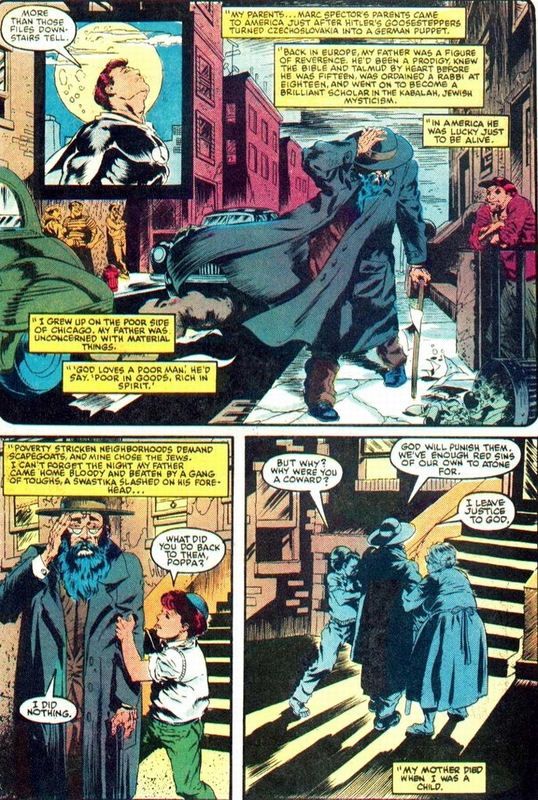 When you research Jewish superheroes, you find dozens and dozens. They come out the wazoo. Songbird’s Jewish. Sasquatch’s Jewish. Nite-Owl’s Jewish. Harley Quinn’s half-Jewish. 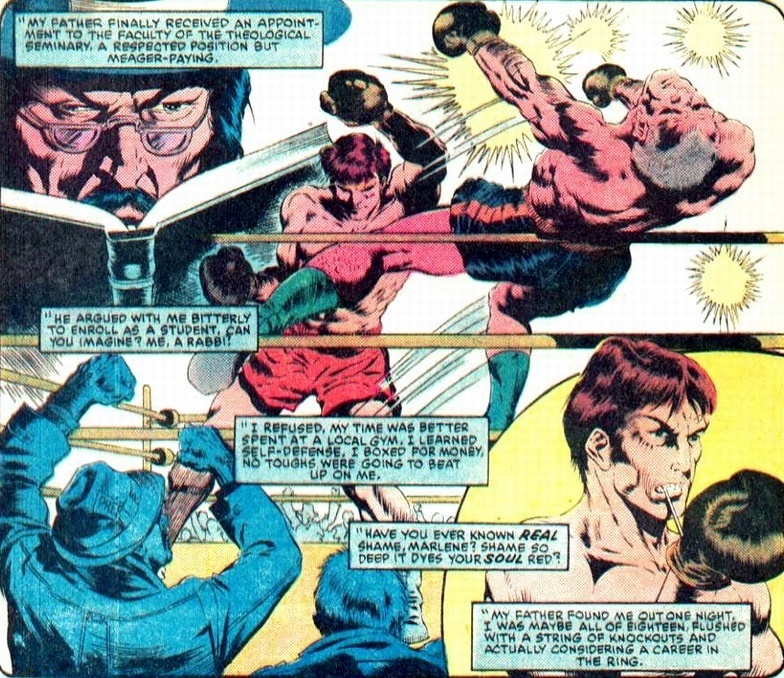 Iceman’s half-Jewish. 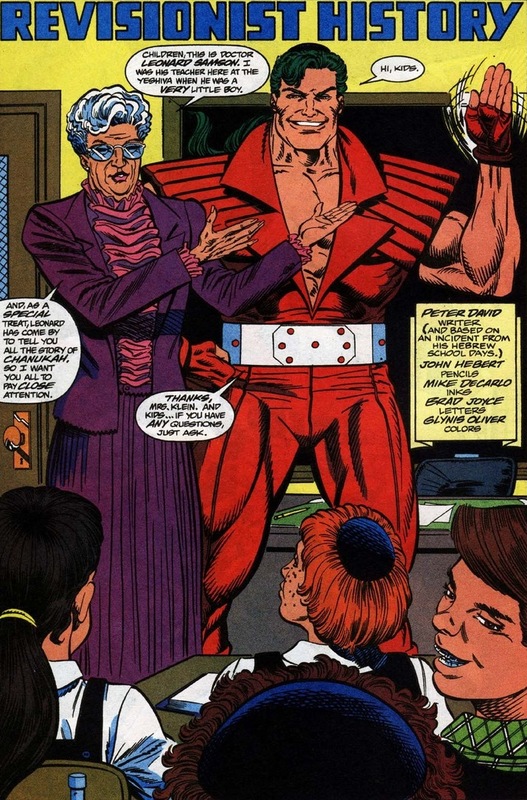 The Atom’s kinda Jewish. Hal Jordan might be Jewish. Truthfully, Jewish proof remains hard to come by beyond an off-hand remark or Menorah in the background. 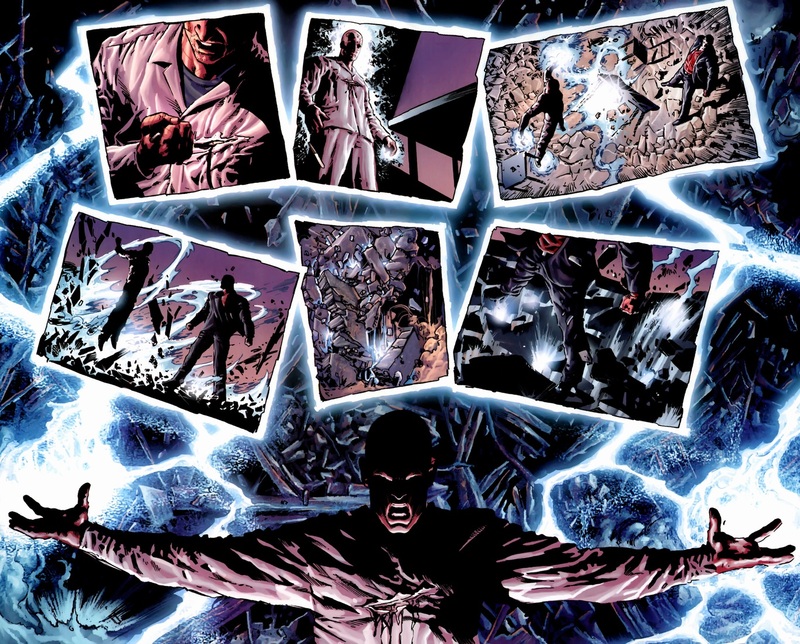 Luckily, a few superheroes have entire stories based around their Judaism and we’ll get to those. 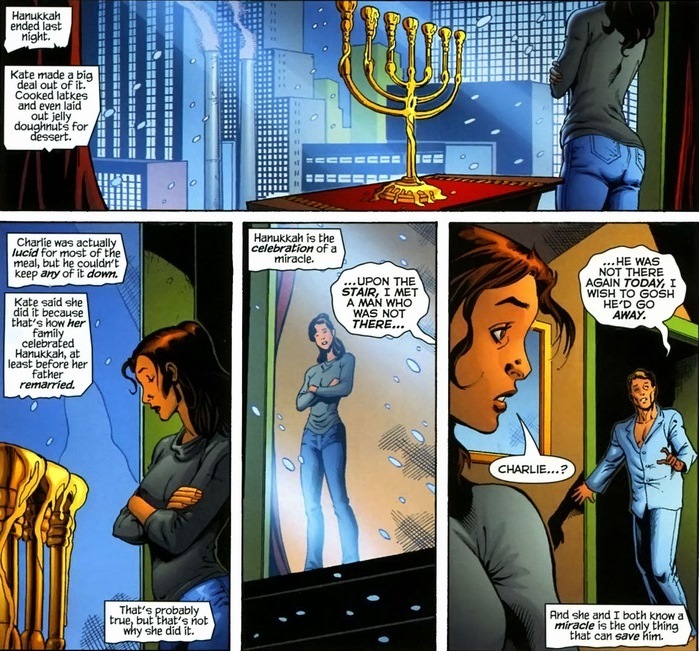 Now, Kane doesn’t get the recognition as much as a Jewish superhero because her sexual orientation trumps her religious affiliation. And honestly, comics probably need a positive lesbian role model more than another positive Jewish role model. Though fortunately for me, in 52 #33, written by Geoff Johns, Grant Morrison, Greg Rucka, & Mark Waid and drawn by Tom Derenik, Keith Giffen, & Joe Prado, I can showcase both her lesbianism and her Judaism at the same time. You know Renee Montoya? 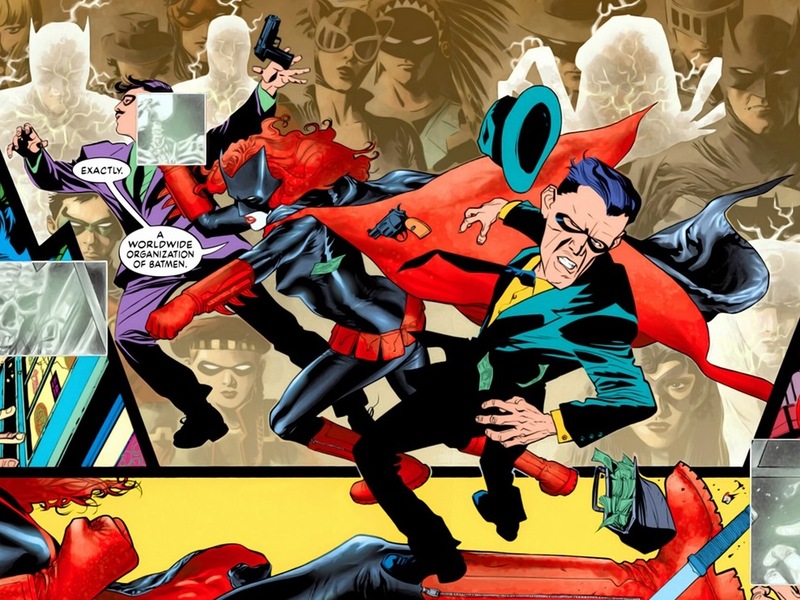 Former Gotham City police officer and now the Question, the superhero that inspired the creation of Watchmen‘s Rorschach. Also, she totally has the hots for Batwoman. Hanukkah’s a big theme from Jewish superheroes. I imagine the more important holidays like Passover or Yom Kippur don’t really bring in the readers like Hanukkah does. And that’s fine. 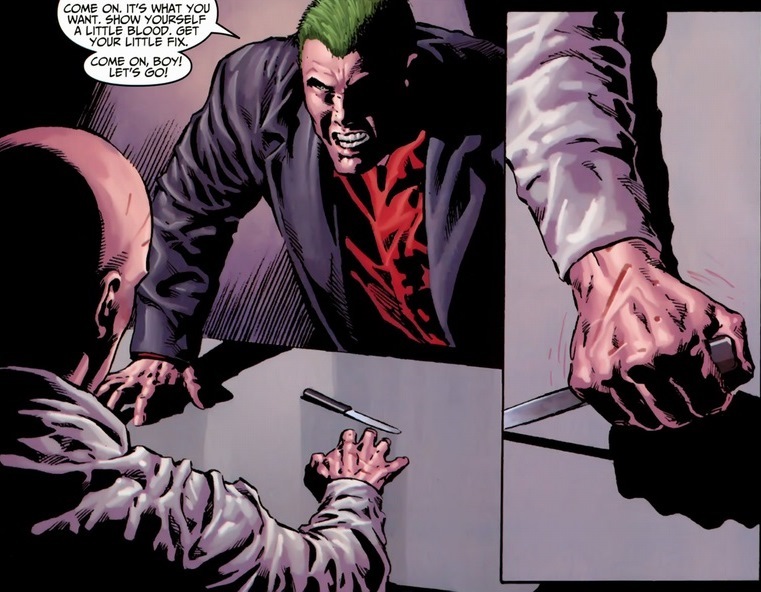 I’m not going to nitpick because Marvel and DC doesn’t give Sukkot its fair due. Like Target giving Jews that one shelf for Hanukkah decoration among three rows of Christmas stuff, at least we have something. 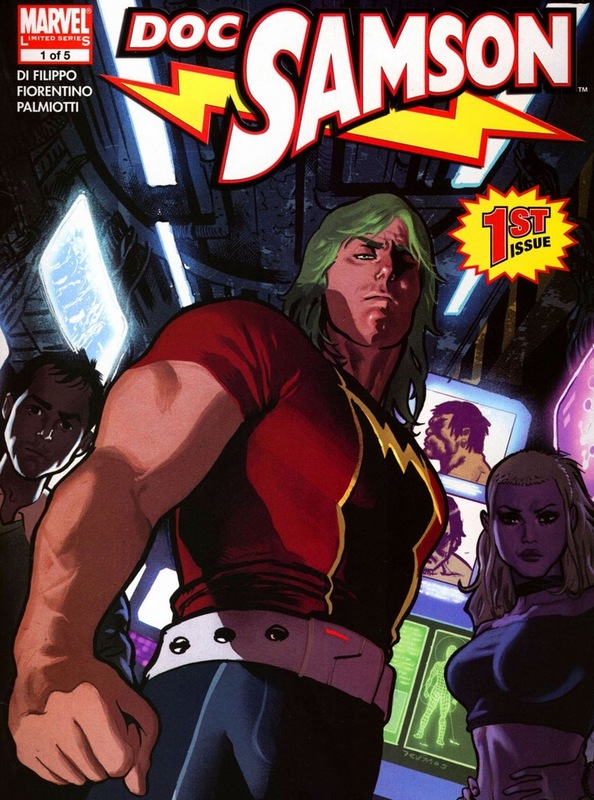 And that brings me to Doc Samson. 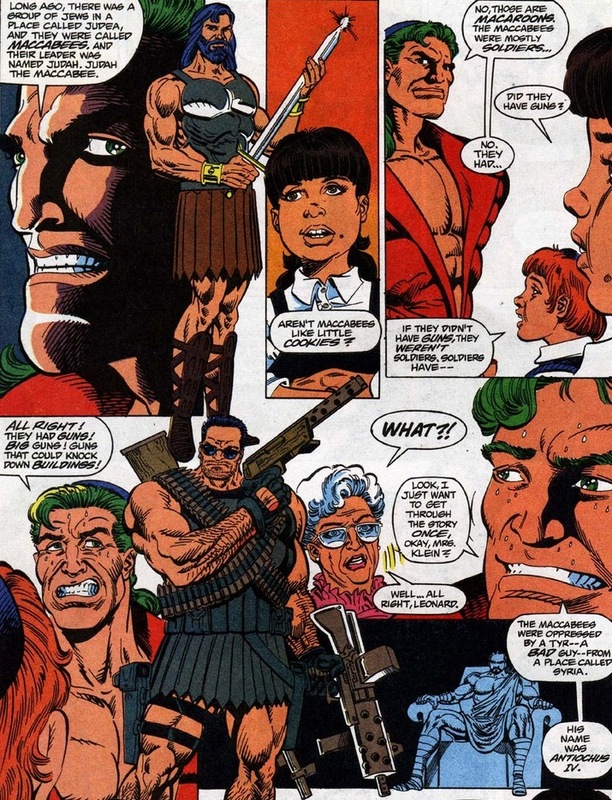 When David wants to write a Hanukkah story for Marvel in Marvel Holiday Special 1992, why not use Samson? I mean, he did write Incredible Hulk for twelve years. And like most progressive Jews, David used a loose interpretation of the story. How could you not love this guy? 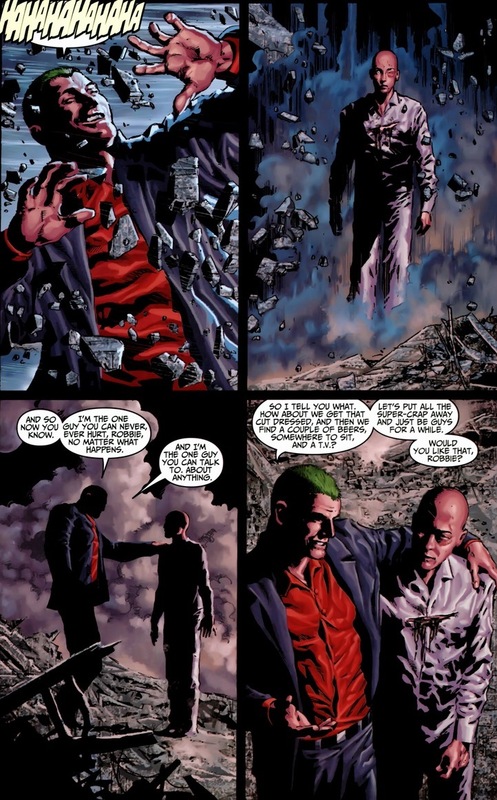 I mean, besides his morally ambiguous relationship with the Hulk and arrogance bordering on narcissism. 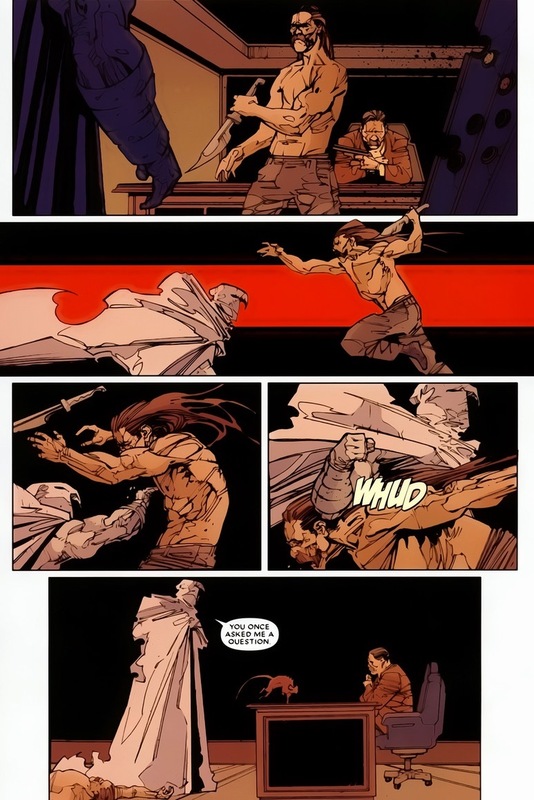 Still, I hope he returns soon and not just as a vengeful ghost messing with Red Hulk. You see that second picture? He hit a guy with another guy’s head. Good stuff. 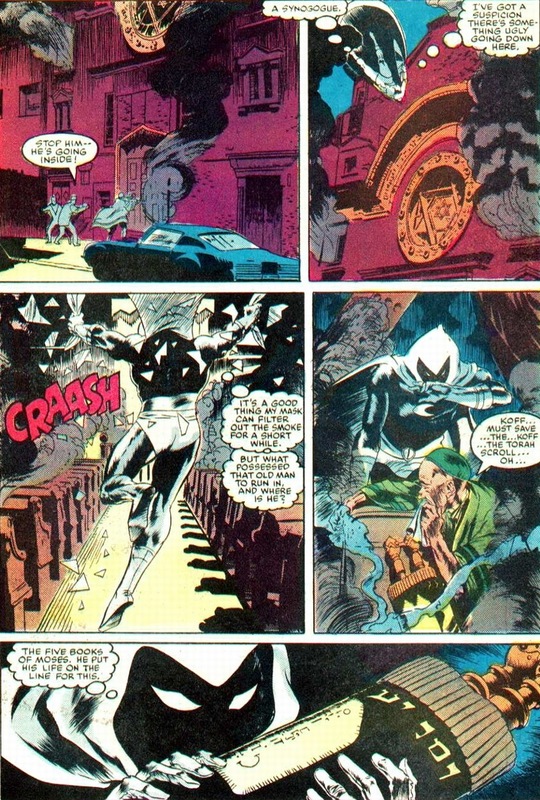 More importantly, Moon Knight may have more proof than any other superhero as to the impact of Judaism on his own life. Y’know, living with his rabbi father. 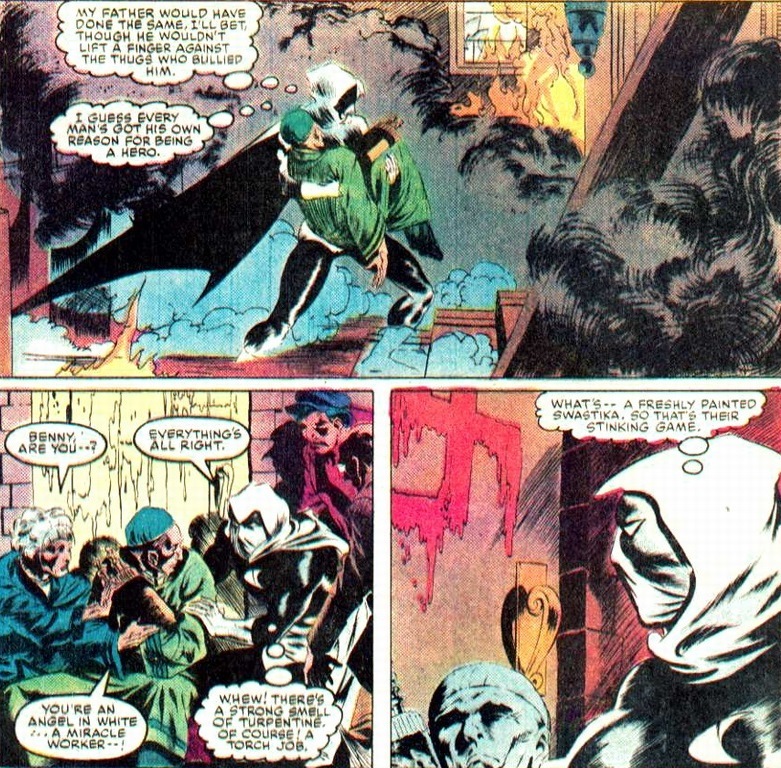 In Moon Knight #37, volume one, written by Alan Zelenetz and drawn by Bo Hampton, it turns out Judaism peppers every detail of his childhood. 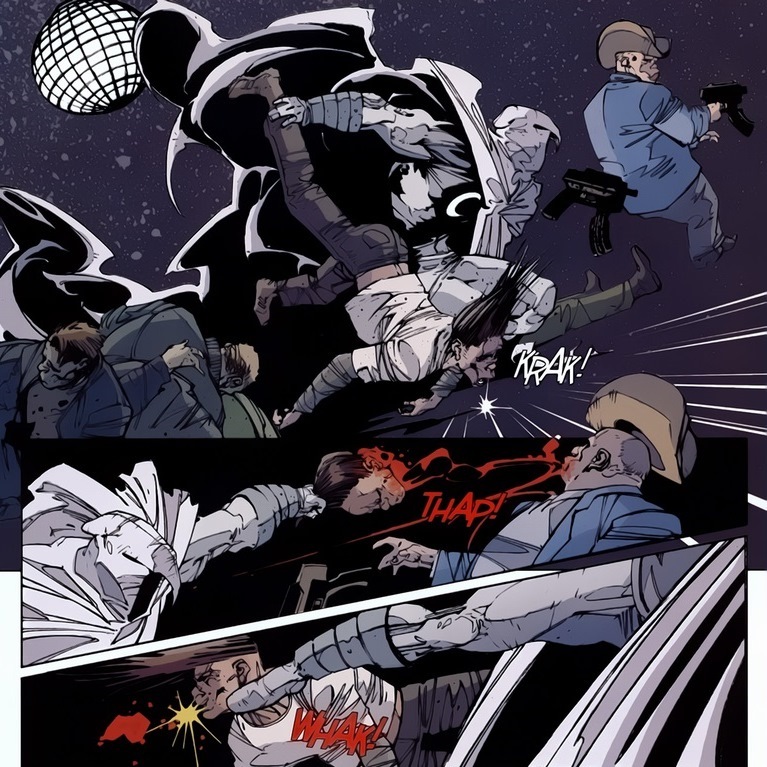 Moon Knight then goes and does what Jews always dream about: take down a gang of Neo-Nazis. While Captain America bonks Nazis all the time in his adventures, the satisfaction that comes from Nazi blood on the end of a Jewish fist makes the victory much sweeter. The good captain represents the best of American idealism and patriotism, but there’s nothing Jewish about him. 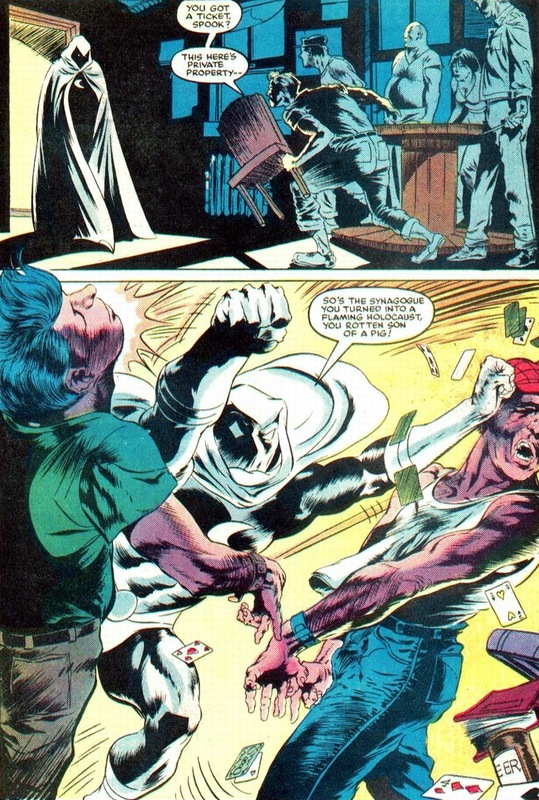 Let Moon Knight handle this, for his vengeance bathes in a slightly richer light. 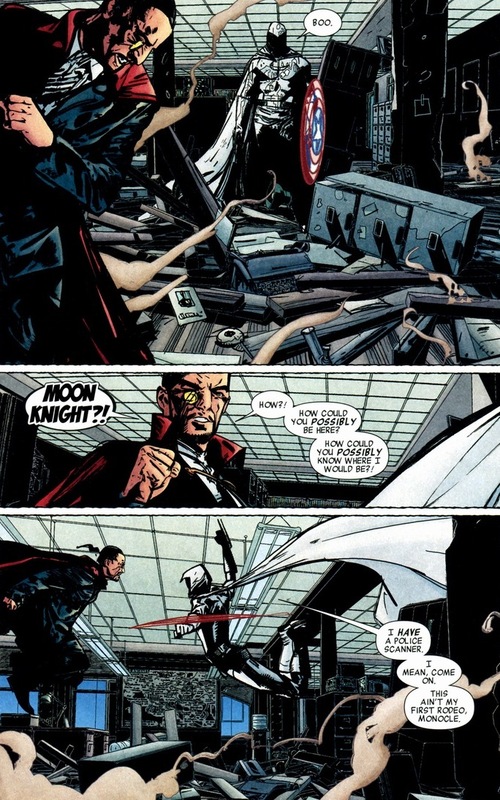 While Moon Knight’s been off the radar the past few years, only majorly gracing his presence in the Secret Avengers series, I hope he shows up again soon. 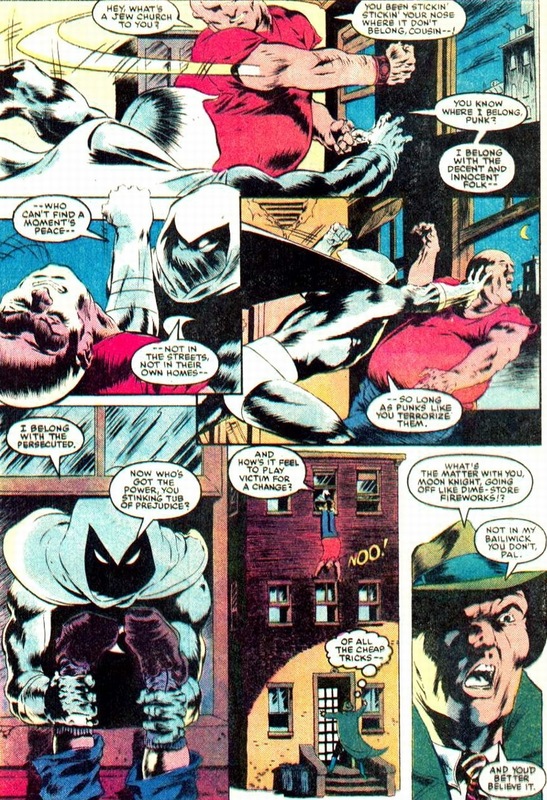 Also, I’m a huge fan of that costume; he used to gain strength when the moon came out, yet he patrolled the streets at night wearing a bright, all-white outfit — that takes major cajones. Tomorrow we’ll finish up this little series with Sabra and the Thing. Thank you for indulging me in this, you guys rock! Loving this series. 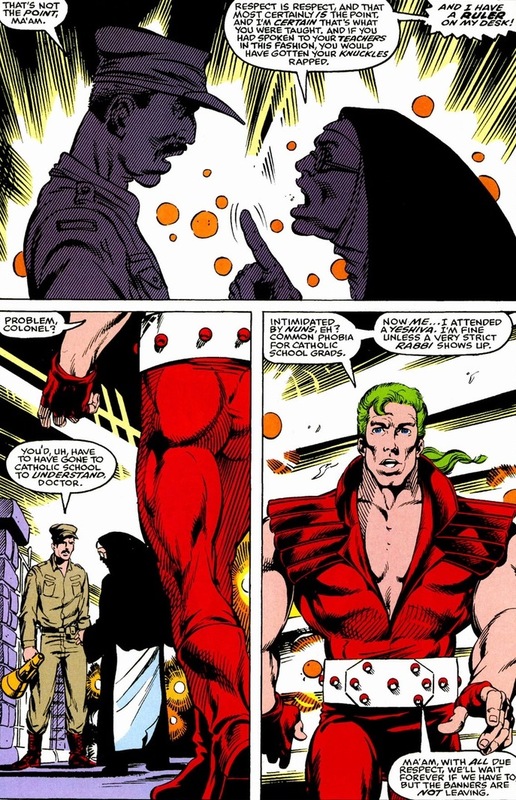 I had only really thought about Magneto and Sabra being Jewish so it’s great to learn some more. Have you read any Nexus? No real Jewish influence but he does have a friend called Judah Maccabee who is a tough guy with a Mohawk and a sword. This was super-interesting – Thanks!